First of all, for those of you who have suggested some new workout attire for me, thank you! I think it’s time to reinvest. A couple of new workout outfits are on my horizons. Every once in a while, I come to realize that some things are worth dropping an extra dollar or two on. It is that simple. 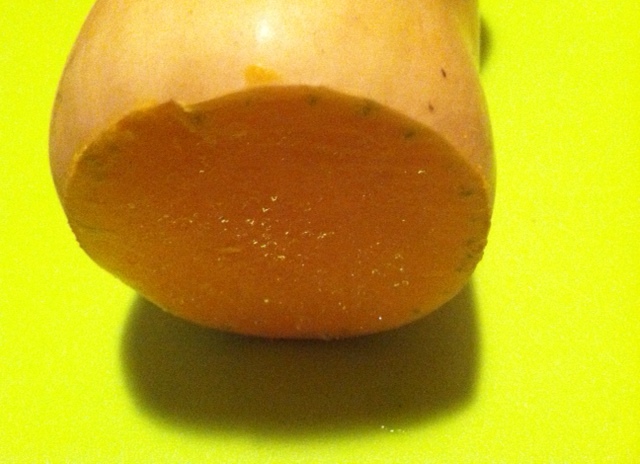 Take for example, fall squash. 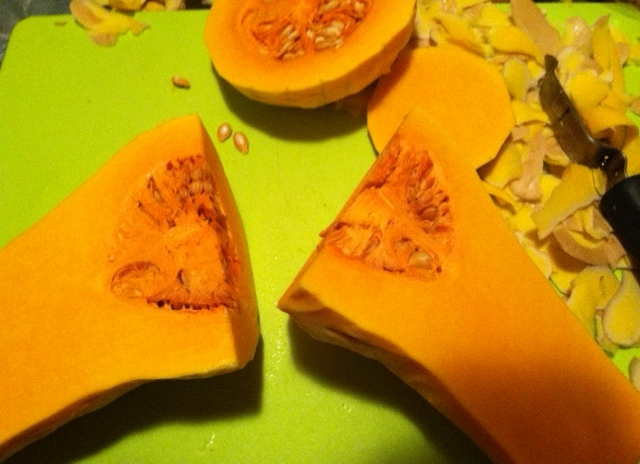 One of my favorite fall foods is winter squash. I like just about every one that I’ve tried, but my favorites are butternut and acorn. 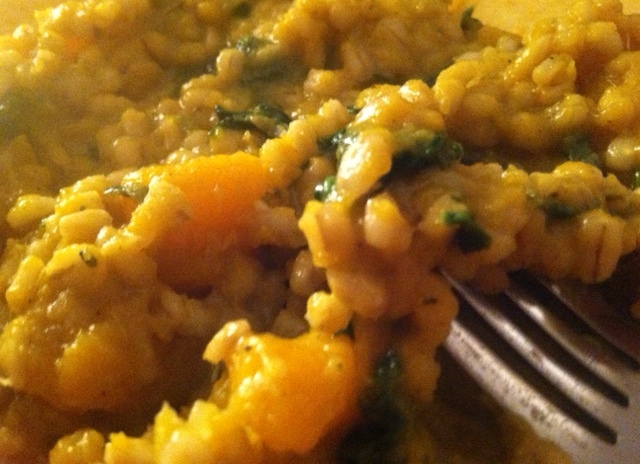 Last weekend, I happened to pick up a butternut squash with intentions of testing out a creamy risotto-style fall squash dish which I finally got around to today! In the end, it was very filling and quite delicious, but oh my goodness, the work it took to get there! Let me tell you, if I have ever wished that I shelled out a couple of extra dollars for a convenience item, it was tonight! 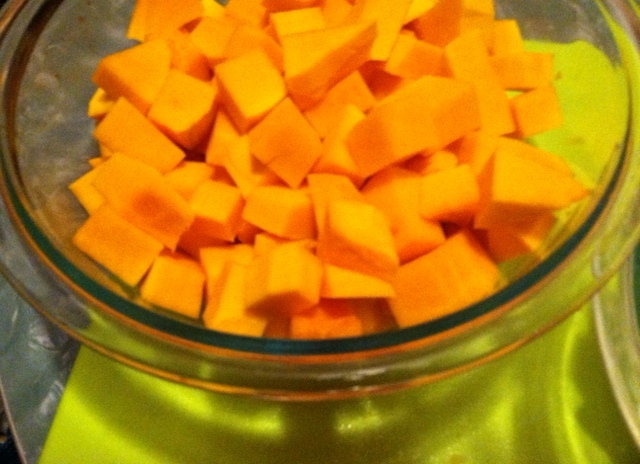 Those little packages of pre-cubed squash that are all peeled and washed and diced are genius. I fought a good fight today. And almost lost a finger or two! Step one was cutting off the bottom of the thing so that it had a flat surface to stand on. Sounds easy enough, no? Well that took about 5 minutes. Fifteen minutes later, I was left with this and was juuuuuust about ready to order Chinese. Miraculously, I was able to cut the thing in half. PROGRESS! 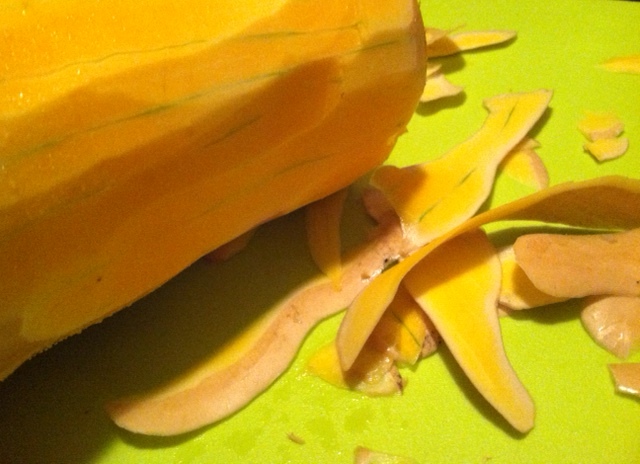 Anyway, I wish I could offer some fantastic tips for preparing squash, but all I have to say is be careful, and get ready for quite the wrist workout! 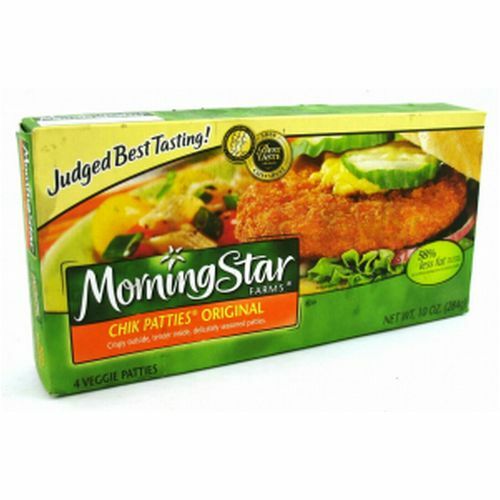 MorningStar “Chick Patties Original” can’t be beat. One has just 140 calories and they taste just like chicken nuggets! The only difference is: with these you know exactly what you’re eating– no mystery meat here! I am definitely not a vegetarian and I don’t think that I could ever go totally vegetarian (though I’ve done it before for Lent! ), but I love these alternatives anyway. I have about a dozen different healthy “staple” dishes that involve various MorningStar products! Anyway, I wish that I could give you some helpful tips on preparing the impossible winter squash, but all I can offer is to BE CAREFUL. Today’s workout was pretty simple and involved bits and pieces of my two favorite Jillian Michaels’ DVDs. This entry was posted in Healthified Meals, Jillian Michaels and tagged Butternut Squash, Dinner, Fall Squash, Jillian Michaels, MorningStar by 5ksandcoffeebeans. Bookmark the permalink.